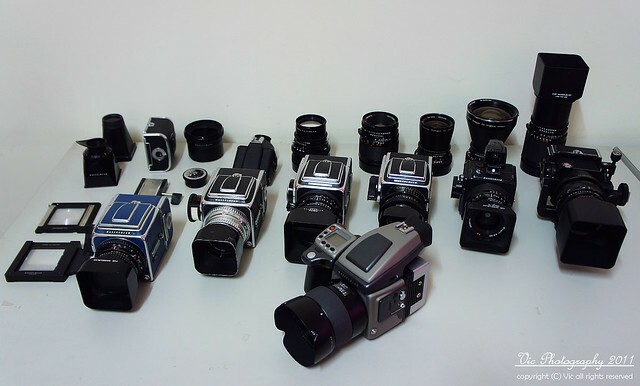 Hasselblad is a camera manufacturer based in Göteborg, Sweden - and is the company that first developed the professional medium format modular SLR. 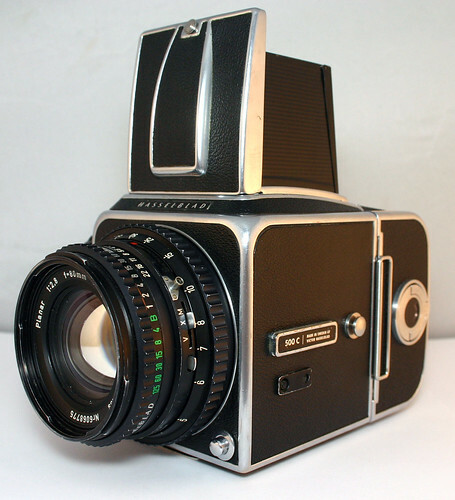 The original Hasselblad company was a marketing operation, formed in 1841 by Fritz Victor Hasselblad. 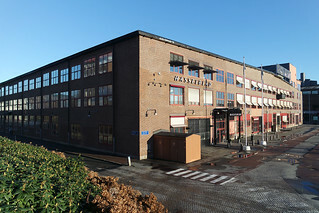 Photographic products were introduced in 1887, and the photographic division became a separate company, Hasselblads Fotografiska Aktiebolag in 1908. Hasselblad was the Kodak distributor for Sweden. 113 were made. The barrel is marked Manufactured by Cook & Perkins Ltd London England for Victor Hasselblad AB Sweden and wears the C&P logo. 20 were included in a set for the Swedish Navy, with 1000F body (HK-1), 3 magazines, direct and magnifying finders, a direct vision finder, 3 filters and two pistol grips, one for the body, one for the lens, all in a wooden case. 10 of these sets were Navy engraved and 10 were not. One was sold at lp-foto auction #4. Case 306 - black suitcase. ↑ Hasselblad Ross HK-7 aerial camera for 7x9 cm exposures on perforated 80 mm film, with 250 mm f/5.5 Megor, and shutter speeds 1/50, 1/100 and 1/250 second; offered for sale at Camera Auction 26, on 22 November 2014, by Westlicht Photographica Auction. ↑ Dixel 2000 scanner offered for sale at Camera Auction 26 by Westlicht Photographica Auction. 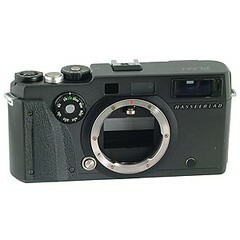 Hasselblad Cameras Price Guide ~ Compiled prices from recent completed auctions. Hasselblad 500C/M at Classic Cameras by RaúlM.